Imagine how Alice felt when she was tumbling down the rabbit hole? Well, now you don't have to imagine with these 3D endless falling games. 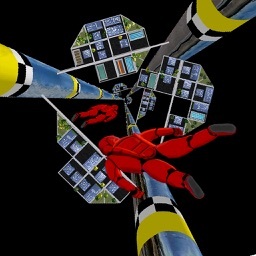 These games can present a first person or third person perspective, but no matter what, the main idea is to drop down a 3D tunnel for as long as you can. 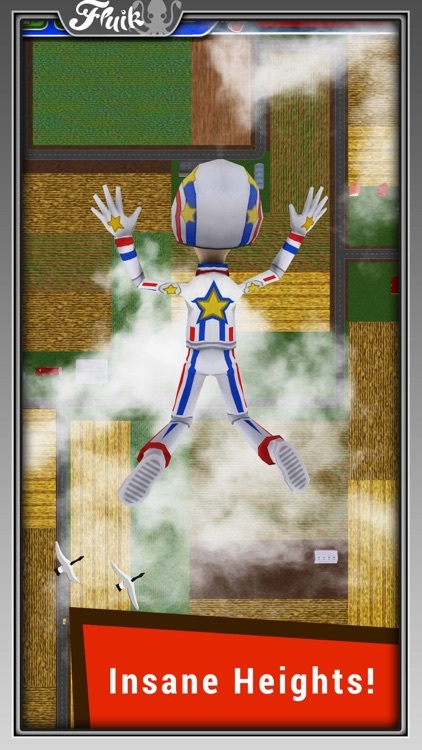 Some can offer more open sky, but you need to avoid obstacles by sliding around the screen. Helmet: CHECK! Jumpsuit: CHECK! Parachute...ummm WOOPS! 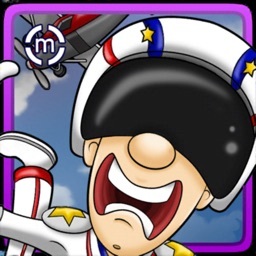 Find hidden objects, complete missions, by slamming into them at ridiculous speeds! Zero in, then SLAM into your target to win coins and unlock new maps. Unless you miss...SPLAT!!! Go for a mega bonus, and crush the ever-elusive Gnome (one on every map)! Feel the need for that extra rush? Grab some adrenaline boosts: dive even faster and smash even harder. Welcome to the world of Sky Gnomes! These little guys live high in the clouds and have only one passion in life: racing! Every day they're tinkering with their snow engines, building new parts and customizing others to go as fast as possible - falling straight down! All this is done for a chance to win in the daily Sky Gnomes Tournament. These races have been going on for as long as any gnome can remember, drawing participants from all over the world. 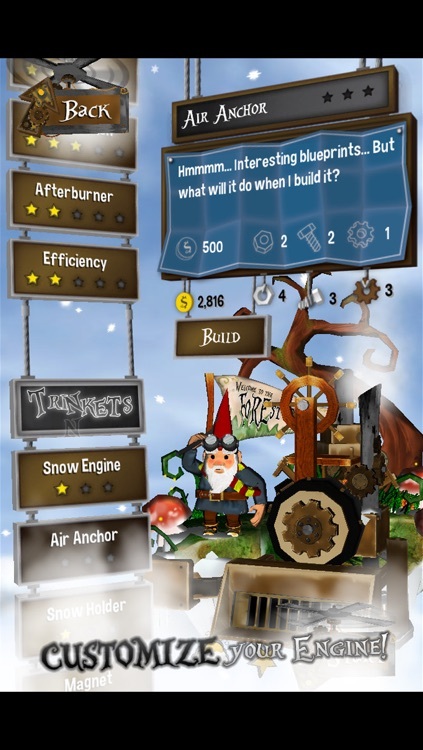 Every day the gnomes test their snow engines and piloting skills against harsh weather conditions and thousands of other competitors - all for another chance at fame, fortune, and glory! Only the bravest of the Sky Gnomes compete in the infamous Battle Cup, though. This race pits two pilots against each other in a back-and-forth battle where opponents use rockets, machine guns, bombs, and all different types of trinkets to win! These duels provide the ultimate test of a gnome's piloting skills - and nerve! And now it's your turn to join the competition! Customize your engine and put your skills to the test against people from all over the world in one of the most interesting multiplayer racers to ever hit the App Store! 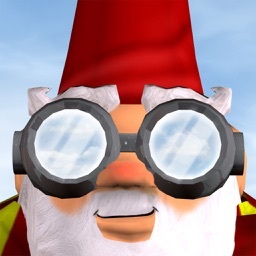 Whether you're looking to pass a minute or two waiting in line, or you want to become the greatest sky racer in tournament history, the Sky Gnomes Tournament awaits! - Free fall from thousands of feet high! - Challenge your friends in the Battle Cup! - Compete with players from all over the world in the Daily Tournaments! - New chances to win trophies and prizes every day! - Seamless, small group competition - compete at your level. - Customize your play-style with tons of trinkets and upgrades! Stanley needs your help to descend the tunnel and expose the nefarious Proton Corp! The Tunnel is a 3D "endless faller" in which each aspect of the world is visualized in stunning detail. You control Stanley's descent down The Tunnel by tapping to steer left and right. Avoid the obstacles in your path to travel as far as you can - keep your goggles peeled for goodies and hidden passages to aid in your fall. Your objective is to capture as many Rings as you can, and getting those 2X multipliers scattered throughout the tunnel sure do help. If things are moving a little too quickly, deploying a parachute will get you back in control. Watch out for poison and earthquakes as well - they'll increase your score, but at what cost? Capture enough Rings, and you'll be able to get Stanley some great new toys: helmets to make those impacts a bit more survivable, backpacks to make your parachutes more effective, binoculars to help you see (and avoid!) far-off objects, and a jetpack to increase both your speed and your score. 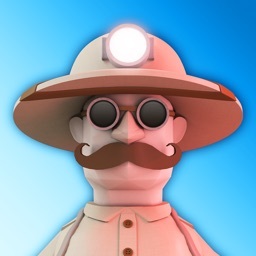 The Tunnel is a casual game with depth. The DANTE F411 manned probe has been launched through a crack in the ground straight down to hell. Insane speed and sharp ledges are your enemies. How far can you reach? DANTE'S FLIGHT: New game mode! "Dante's Falcon spaceship has infiltrated the Death Space Station through the vent system to destroy it from the inside, but now you have to escape!" Touch the left or right side of the screen to hover around the tunnel avoiding ledges. Will you reach the Ninth Circle Of Hell? 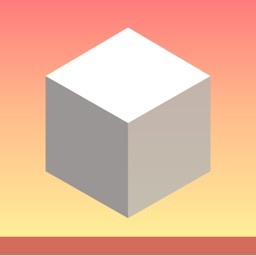 Control a cube on an endless free fall through an abstract and vibrant world filled with minimalistic obstacles and tight passages! Earn coins and unlock a wide variety of cubes, each with different specs and abilities. How far can you get? *** Falling Fred Z is free... FOREVER! Just because you're dead that doesn't mean that life can't be fun! 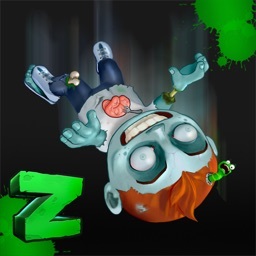 Help Zombie Fred keep his act (and limbs) together through dozens of brand new obstacles, settings and game modes. If plain survival games don't cut it for you, there's plenty of brain-eating challenge missions that will blow the top off you skull. Get your bottle of formaldehide, some strong deodorant and get ready for the Falling Fred Z experiene! NOTE: This game is optimized for iPhone 3GS, iPhone 4, iPod Touch 3erd Gen and above, iPad and iPad 2. IMPORTANT: This game supported by iAds. All banners can be removed through an in-app puchase at the minimum price. While hunting for some dinosaur eggs you disturb a mighty volcano and are tossed down the side of the mountain. You are forced to keep ‘tumbling’ down the mountain avoiding obstacles and hazards in order to remain ahead of the pursuing lava flow. 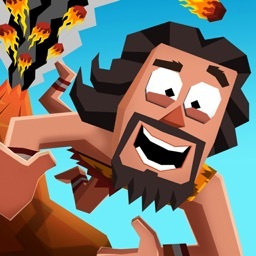 In this physics based ragdoll game you must manoeuvre your way through various hazardous environments such as lava, water and clifftops, resulting in a hilarious experience. From the developers of the Worldwide No 1 Hits FAILY BRAKES and FAILY RIDER comes FAILY TUMBLER! Sky City: A vast vertical metropolis, stretching from ground level to low-earth-orbit, held within an airtight forcefield. Hazing: Highly competitive, highly dangerous, highly illegal - skydiving the length of the support towers, racing to the bottom. Tower Defence: Armed police drones, dedicated to vaporising anything which might endanger the structure. Experience a vertigo-inducing drop of almost two hundred miles, kept safe by nothing more than quick reflexes and a parachute. Gameplay is simple - tilt your device to weave through the platforms and bridges, dodge the incoming fire from the defence forces, then hit the “Dive” button to build up even more speed. If you reach the bottom, your ‘chute will open automatically. Choose from 3 levels of play - a solo practice dive from just 6 miles up, a mid-level race from 47 miles, or “The Ultimate”, jumping from the city’s low-earth-orbit launch platform, a dizzying 198 miles high. Make it to the bottom in one go, or hit the pause button to save your position for later. 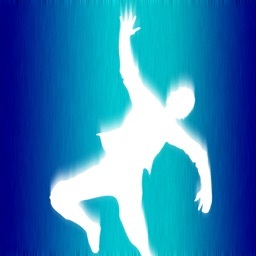 Challenge your reflexes with "Endless Falling Heroes"
The goal is to fall through levels without hitting the obstacles. Claim your glory in world leaderboard. We are a game development studio located in Germany. We develop mainly for mobiles. which means you can play them whenever, wherever ! We aim to bring you the pure interactive experience right in your hands. One of the biggest focus in this game is its super graphics, we work hard to bring the best 3D graphics possible for current mobile devices.